Website Analysis | DePiro Designs LLC Altoona PA - DePiro Designs LLC. 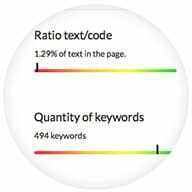 ​More than a simple SEO analysis, get a complete diagnosis of your landing pages one by one: content, keywords, design, performance, accessibility. 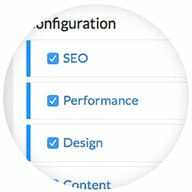 Analyze, optimize and analyze again: monitor developments with your Site Score, we can improve your website and control your SEO. We can help you understand what makes your website function and what your visitors are doing on your site. 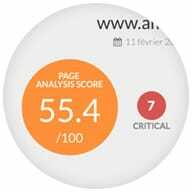 Each criterion in our analysis is commented in order to succinctly explain its relevance in your page optimization. 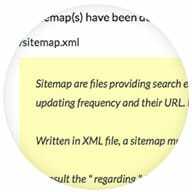 This also help us easily fix any errors on your site fast and hassle free. Easy-to-use, clear and detailed charts help you to understand at a glance strengths and weaknesses of your website and offer you tips on how you can improve on areas of weakness. ​The automatically generated to do list allows us to identify at a glance priorities to solve on your website from the most urgent to the less important.